December is the month when newspapers and literary blogs put out their lists of the 10 best books of the year. These lists, determined by committee (it seems), usually represent books published by bigger, commercial presses and often make me feel combative. “Ten best books? Says who?” Roxane Gay of The Rumpus wrote a spot-on article on the fallacy of those Ten Bests. She points instead to books published this year that truly moved her and met criteria many of us can believe in. (Gay’s article included the Jeannette Winterson quote above.) All that said, I like lists, and I thought the Christian Science Monitor’s 10 Best Fiction books the most intriguing of those I’ve run across this month. A few days ago, my beautiful friend Diane asked for titles of books I’d recommend. 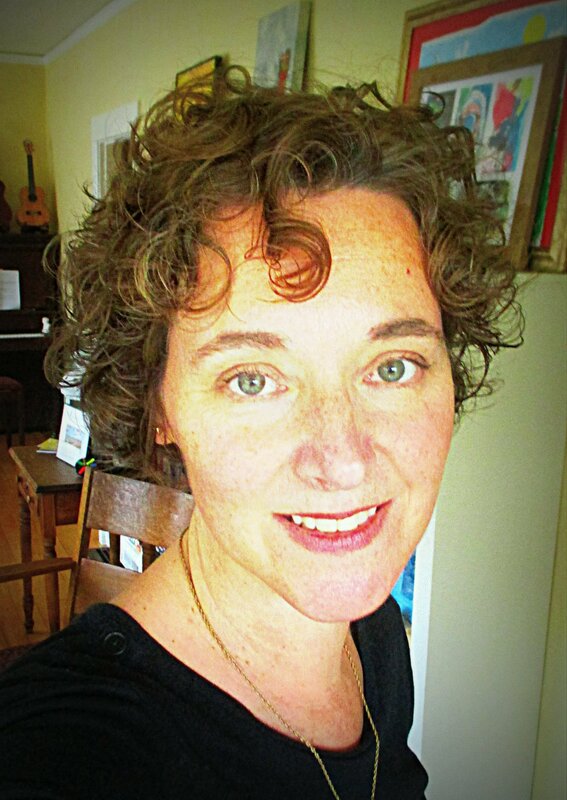 My first impulse was to send her the Christian Science Monitor’s list, but after I thought of my friend, how complex her life, how much I missed her–we’ve seen each other rarely since high school–I rifled through the stash of bedside books I haven’t gotten to yet in search of something she’d like. If I suggested some of these, maybe we could read them at the same time and compare notes? But this list was for Diane, a brilliant and generous thinker. Diane had been a soul mate of my youth, a gift to me because she set her own rules and dared me to set my own. She said what was in her heart, no holds barred. Had we lived close by each other all these years, been able to trade books and personal stories, how would we have grown and changed together? Novels, because of the way they take readers beyond the known and seemingly possible, would (I imagine) have been our thing. 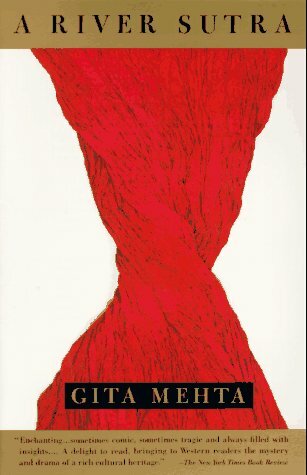 A River Sutra by Gita Mehta. An elegant tale and treatise on desire, set in India, entwining three faiths. Most precious to me because I listened to it on tape (back then) while anxiously waiting to adopt our first daughter and knitting the first sweater (a child’s) I ever made. Mehta’s characters show how dangerous it is to want something very badly and yet how sacred it is to be consumed by that desire. To the Lighthouse by Virginia Woolf. First read this as a junior in college. First novel written by a woman I studied in college. Assigned by a male professor who would lecture at length and with passion on the works of Austen, Bronte and Woolf. I can recite whole sentences from this book. Images come back to me when I am out walking and thinking through the stories I am writing. Gave me permission to keep going with my writing and to never give up. Love in the Time of Cholera by Gabriel Garcia Marquez. A delicious story of lovers separated almost all their lives. Epic in scope, playfulness and suggestion. First read this late into the night during a cool, long summer in at my parent’s old house in the Upper Peninsula of Michigan. Woke up each morning under layers of blankets and still inside Garcia Marquez’ dream. Maybe I still am? 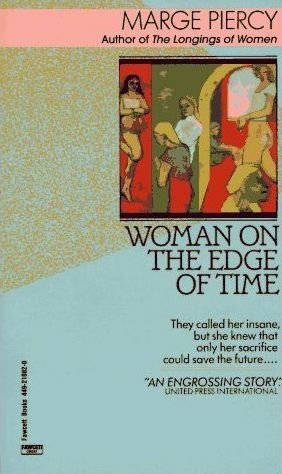 Woman on the Edge of Time by Marge Piercy. Piercy imagines a future in which true mutual respect is possible. The leap toward the fantastical in this book opens up a discussion that has never stopped for me and many friends, including those warrior women and men I met in graduate school when I first read this novel. We set out armed to read, write and think. We continue to believe. Sula by Toni Morrison. “We was girls together,” Morrison writes. Central to this book, set in a Black community on the brink of being torn apart, is the friendship of Sula and Nel. Morrison goes deep with this gorgeous, mythic story of how people are sacrificed in one way or another when they (and we) do not have the room to expand and accommodate. The English Patient by Michael Ondaatje. We each have our place in history.To pull one string is to find the whole cloth. I cannot remember the first time I read this book, only that it was the first novel I started to take apart as a writer in order to understand what the story had done to me as a reader and how. Love Medicine by Louise Erdrich. When I close my eyes I can see June Kashpaw, the character the narrative circles, sitting against the fence in the snow. All of the other characters approach her through this fabulously well told story. As I figured out how to structure my own novel, I kept returning to Love Medicine. I have an ongoing, open love affair with Erdrich’s writing. America’s story spills out in her innovative and image-rich fiction. 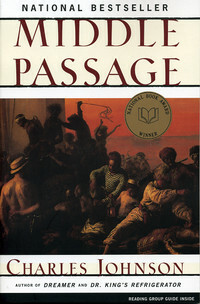 Middle Passage by Charles Johnson. Surprising and deeply imaginative retelling of the slave trade. Johnson does something profound with a fine dance of humor, irony, and allusion to literature of all kinds. For the last ten years in a row I have “taught” this book to my students, and it always ranks for them in the top two or three novels of the semester. I keep asking them to read it because of what the tale does to our hearts and heads. What separates us is not what we have been taught. The Children’s Book by A.S. Byatt. Most recent addition to my list of “greats.” Byatt’s deliciously substantial novel takes on early 20th century artisan culture in England by focusing on a famous female writer and mother of four who writes for her children and for publication. Page by page, the book expands to take in characters and events during a time that shifted our perspective on art of all kinds, including who makes it and why. On the top of my bedside books for rereading. Atonement by Ian McEwan. There is a fine line between telling stories and lies. Provocative, discomfiting read. 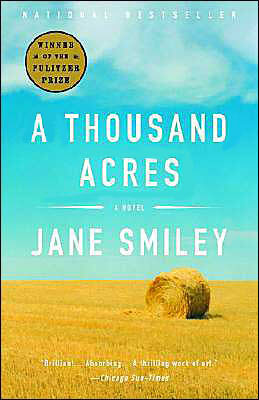 A Thousand Acres by Jane Smiley. Shakespear’s King Lear retold through the story of an American farm family.Disturbingly clever and moving. Jane Eyre by Charlotte Bronte. Bronte’s edginess and sensuality makes this a mouth-watering 19th century read. She took risks. This novel speaks volumes on the need to find one’s own value. 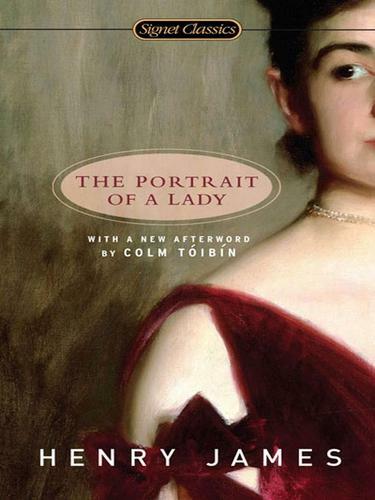 The Portrait of a Lady by Henry James. James’ twist on the tragic heroine adds another dimension (or five) to what marriage is all about, 19th century style. Searoad by Ursula LeGuin. As well as writing mind-blowingly good science fiction and short fiction, LeGuin gets places perfectly, including Oregon coastal peoples and the influence of the sea. This novel does it for me. If you like this book, take an unconventional leap into her science fiction with Fisherman of the Inland Sea, a collection of short stories and novella that will do all sorts of things to your sense of time and place. The Woman Warrior by Maxine Hong Kingston. Fiction? Nonfiction? What are we? What, given more ways to tell a story, could we be? Written on the Body by Jeannette Winterson. Cried with awe the first time I read this book. Go further, she tells us. Go beyond. What a wonderful Christmas gift, Kath. Yes, novels it would be! Thank you from the bottom of my heart! Great list! Just picked up three of your selections while shopping with my Christmas money today. I’m flattered! Which books did you choose? I’m interested to know what you picked and why.